The ruling of the Supreme Court prescribes the consideration of Housha's appeal at the regional court by another judge. The case concerns the administrative persecution of Mr. Housha during the parliamentary elections. 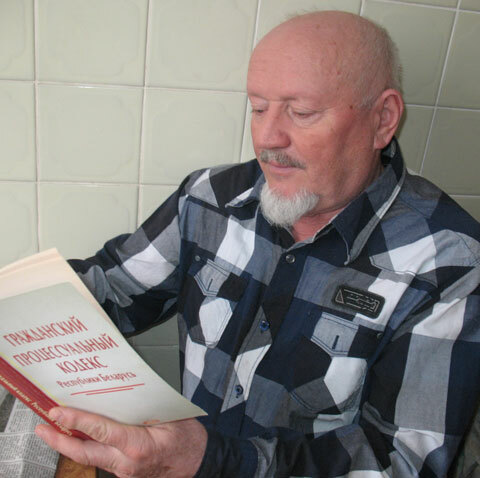 After he discovered the rigging of a report by the election commission of Baranavichy-Western constituency #5 where he was registered as an election observer, he was charged with disorderly conduct and subsequently fined 15 basic units. Mr. Housha didn't agree with charges of hooliganism and filed an appeal to Brest Region Court. At the same time, he applied to the court with the petition to be freed from the payment of the state fee due to a hard financial situation. Earlier Mr. Housha used to be partially or wholly exempt from paying fees by different courts. However, this time Baranavichy judge V. Petryu stated he wouldn't consider the petition. Instead of it, he returned the appeal to the plaintiff and refused to consider the case – first due to the non-payment of the state fee, and then – due to the expiry of the legal terms of appealing. Brest Region Court refused to consider the case on its merits and turned down Housha's appeal against the decision V. Petryu, after which Mr. Housha had to apply to the Supreme Court.